What are PureCloud’s network requirements? You are ready to set up your PureCloud org. You recently subscribed, have not set up your org yet, and did not receive an activation email. Please call sales at 888-GENESYS (888-436-3797) for assistance. Note: This article is for PureCloud admins. See New users for information for other user roles. This procedure is appropriate for most new customers. Click Activate. 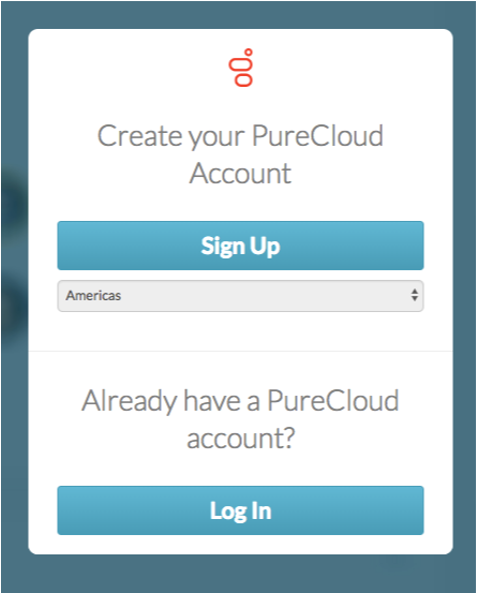 PureCloud prompts you to sign up for a new account. 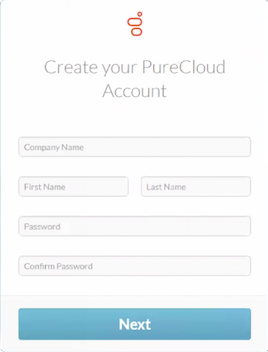 Enter the basic information required to create a PureCloud account. Then click Next. 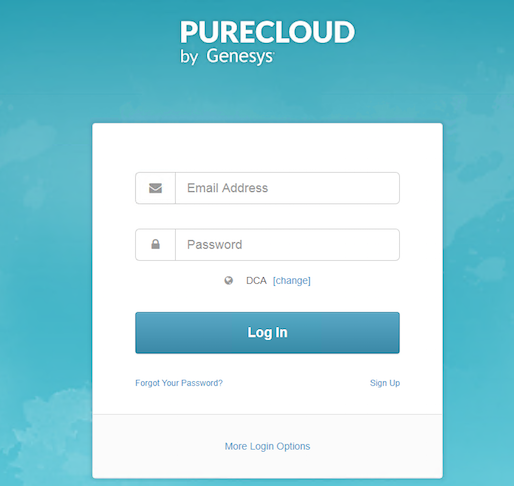 (Optional) Invite other persons to use PureCloud. You can also invite people later. Click Activate Now. Wait for the org activation process to complete. Your PureCloud org is ready. Enter your email address and password from step 6. Click Log In. Wait while the system activates features and customizes billing for the org, based upon the subscription created by sales. If you signed up for a trial, you are not billed. When setup is complete, click Continue. At this point, billing is enabled for paying customers only, and your subscribed products and features are ready to use. Sales checks to ensure that everything activated properly. 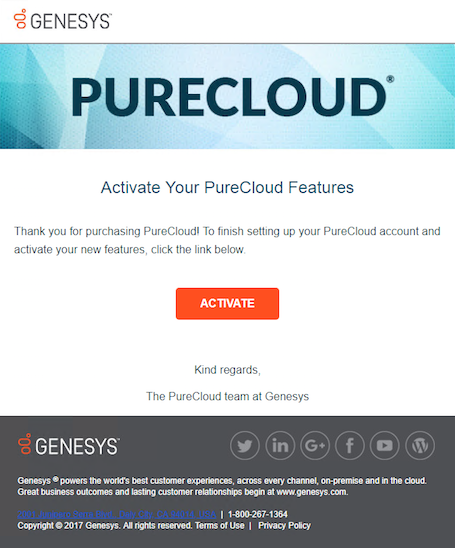 Afterward, you receive an email with “Thank you for Activating Your PureCloud Features” in the subject line. 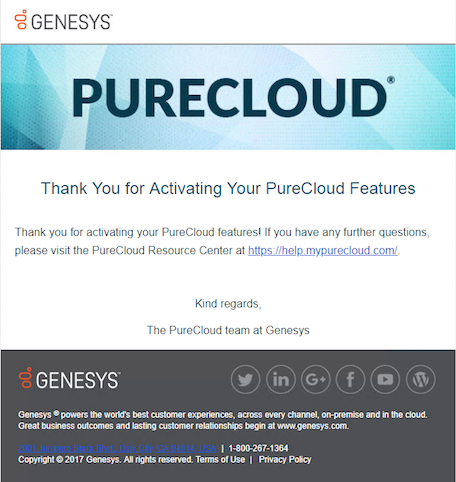 You receive an email with “Welcome to PureCloud” in the subject line. This email confirms that your org is active. 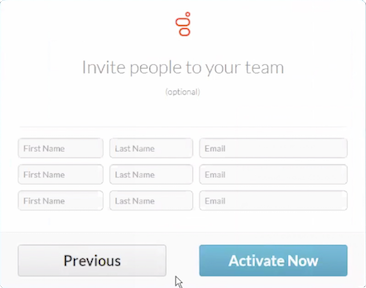 It contains important links you use to log in, download apps, or send invitations. It’s a good idea to bookmark these pages, and to share them with others. Next, see Steps to complete after a billable org is activated. After you set up your organization and create your user account and a test account, you’ll assign the appropriate roles to those accounts. With those roles, you can then configure phones, make calls, and route calls through the PureCloud ACD system. The following steps walk you through the initial setup. You can find additional information for each step in the PureCloud Resource Center. Check your email. If you’ve received a notification that your organization is ready, then it’s time to get started. 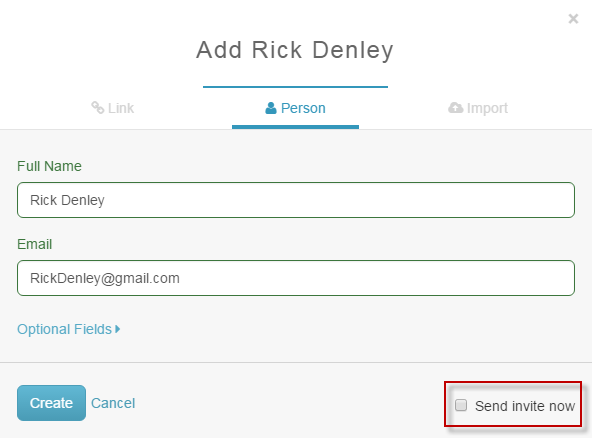 Start by assigning roles to your PureCloud user account. To verify that your ACD configuration works, add a second user—a test agent—and assign roles to that user. To learn more, watch this short video. Below the video are step-by-step instructions. Under People & Permissions, click People. Next to your user, click More. Refresh your browser or log out and back in for the roles to take effect. Type the test agent’s full name and email address. Clear the Send Invite check box. In the list of people, find the person you just created, and then click the corresponding Edit Person button. Click the Roles & Licenses tab. Purchase two PureCloud DID numbers for testing functionality. Assign one number to a user. Set up a PureCloud web-based (WebRTC) phone. Watch this video for step-by-step instructions, or read the instructions below the video. Complete the form with your site information. The address fields are required. On the Location Details page, select Make this location available for use on sites. In the Emergency Number box, type the phone number that a 911 dispatcher can call back in case an outbound emergency call from your site gets disconnected. In the Location list, select your new location. In the Time Zone list, select your time zone. From Sites > General, click Make this Site my default Site. Under Sites with Edges, click Use Edges from these Sites. In the Primary Sites box, begin typing PureCloud Voice AWS. Select it when you see it. In the Secondary Sites box, begin typing PureCloud Voice AWS. Select it when you see it. Under PureCloud Voice, click Number Management. Tip: You can search for available numbers by country, location, or by a specific number. Click Complete Purchase, and then click Continue. Read the agreement, and then click Sign. In the Adopt Your Signature window, select your signature, and then, click Adopt and Sign. Place your signature in the places indicated. Confirm the default site address for E911 support. Note: Write down both DID numbers so that you can refer to them later. The page indicates that the number is connecting. To see that the number is in service, refresh your browser window. Click your profile avatar, and then click View Profile. Click Add a new section to your profile. Under Contact Information, in the Work Phone box, type one of the DID numbers that you wrote down, and then click Primary. Select the Voicemail Enabled? check box. Under Telephony, click Phone Management. Click the Base Settings tab. In the Base Settings Name box, type WebRTC. From the Phone Make and Model list, select PureCloud WebRTC Phone. In the Phone Name box, type a meaningful name. From the Base Settings list, select WebRTC. From the Site list, select the appropriate site. From the Person list, select the appropriate user. Note: Create a unique WebRTC station for each user that you want to assign to a PureCloud web-based phone. 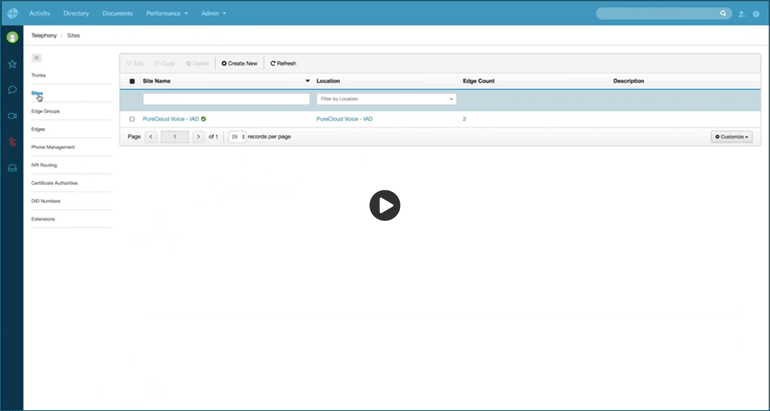 In this step, you configure the ACD queue, set up the IVR, and then test inbound calling. Watch this video for step-by-step instructions, or read the instructions below the video. Under Contact Center, click Queues. In the Name box, type Queue Test, and then click Create. Under Evaluation Method, click Disregard skills, next agent. In the Select new members box, begin typing your name and select it when you see it. Then, begin typing the name of the test agent you created and select it when you see it. When the users appear in the list, click Save. Under Architect, click Architect. Architect opens in a new browser tab to the Inbound Call Flows list. In the Name box, type Main Flow, and then click Create Flow. In the Menu Prompt box, type the instructions callers hear when they begin the flow. Note: You can type any prompt in the Menu Prompt box. To complete our example, type Press 1 to enter queue. You can also change the text in Initial Greeting box to any text you want. In the Toolbox, expand the Transfer menu. 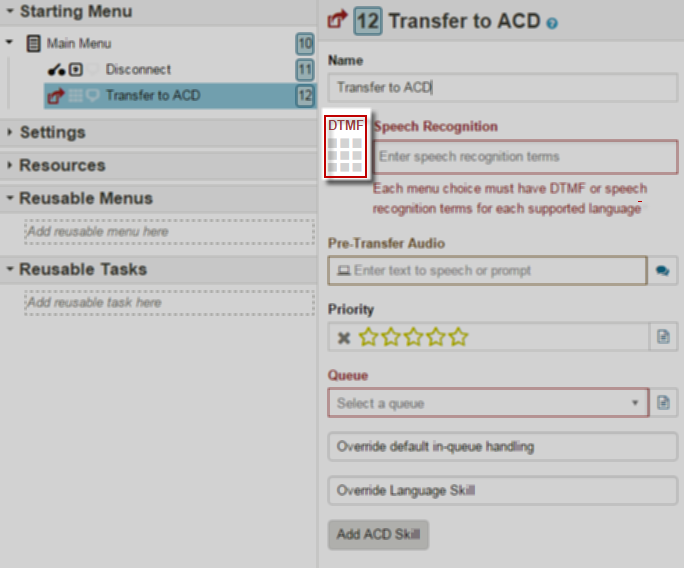 Click and drag the Transfer to ACD option below both Main Menu and Disconnect. Click 1. 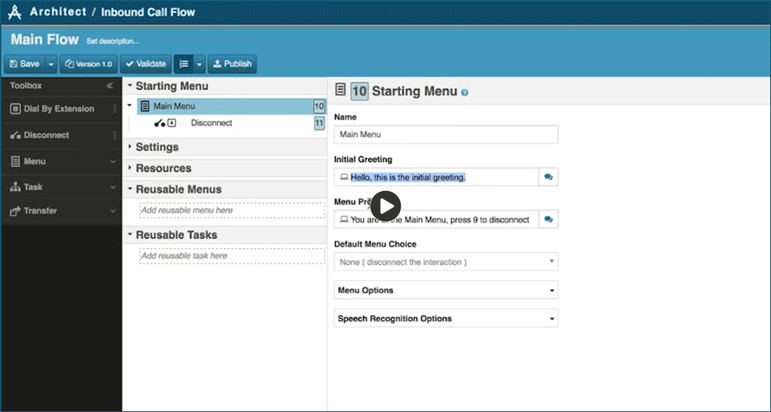 Alternatively, in the Speech Recognition box, type One or any other recognitions you want to trigger the option. In the Pre-Transfer Audio box, type Transfer to Queue Now. In the Queue list, select the queue you created previously (to complete our example, select Queue Test). If you see no errors, click Publish. Click the tab for the main PureCloud window. Under Routing, select Call Routing. In the Name field, type a unique call routing name. This name appears in your list of entries on the Call Routing page. Type the complete telephone number string in numeric format only. Repeat step 5 to add more telephone numbers. In the upper right corner of the PureCloud window, click to enable On Queue. Call the phone number and listen to the initial greeting that you set up. Click 1 on the phone dialpad. 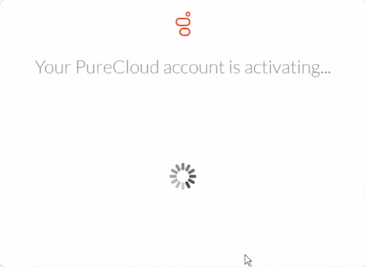 When the interaction appears in the PureCloud window, click Answer. 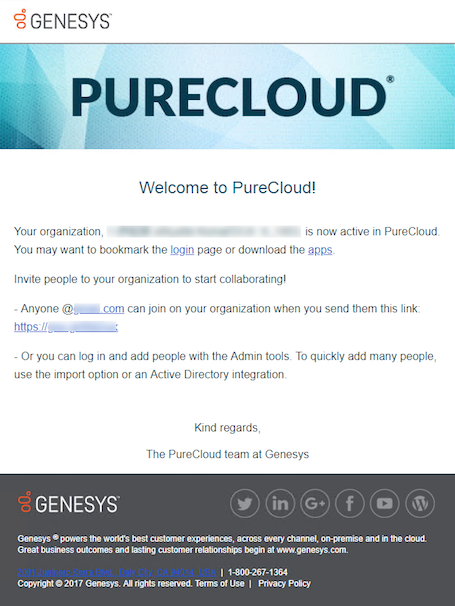 Congratulations, you have successfully completed the initial setup of your PureCloud organization! 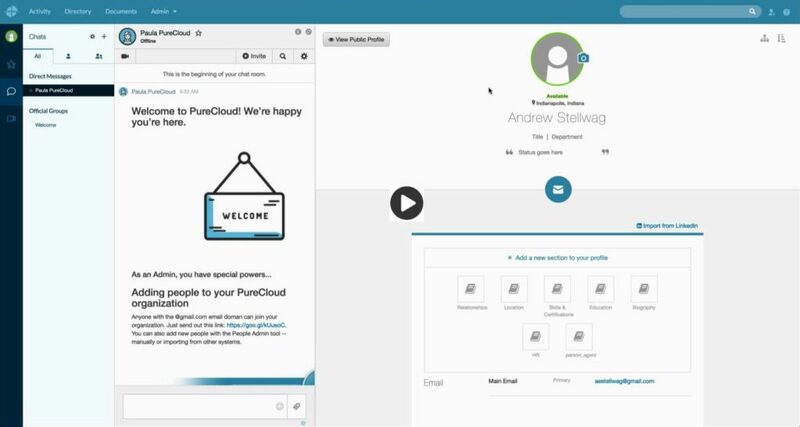 After you complete the initial PureCloud setup, we recommend that you add more users and continue configuring PureCloud features. For more information and quick start packages, search the PureCloud Resource Center.